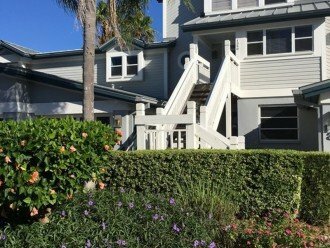 Our adorable unit – Casita Siesta - is located at Gulf & Bay Bayside on Siesta Key, on the bay just south of Sarasota and with private beach access to world-famous Siesta Key Beach. 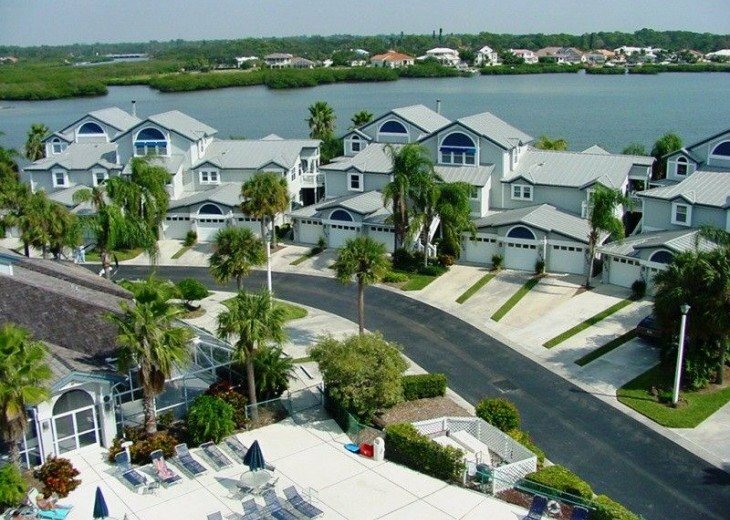 The complex is a gated resort community featuring unique “Old Key West style” condominiums only a 5-10 minute walk to the sugary white sands of the beach -- rated the top US beach again this year by Trip Advisor and one of the 10 most beautiful beaches in the world. (Its powdery white sand of pure quartz crystal won’t burn your feet even on the hottest days!) 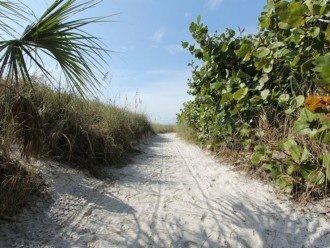 It is great for walks or runs with 4 miles of expansive beach to explore. 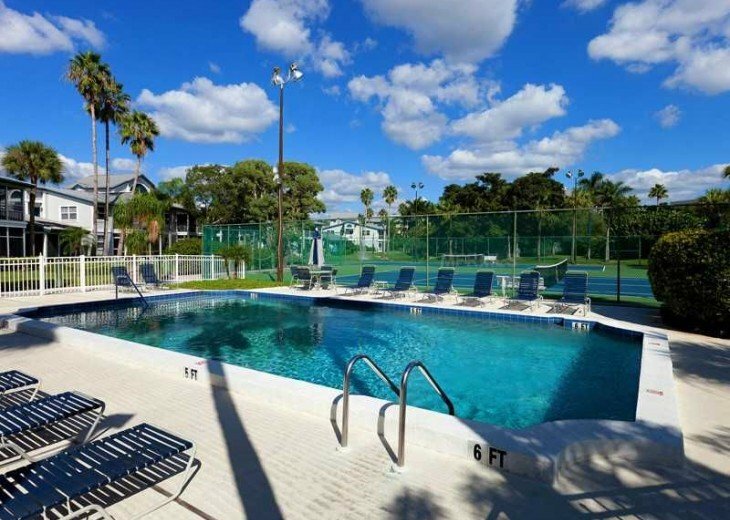 We have two large heated pools, and the unit is conveniently located right across from the larger pool. Two flat-screen TVs and free WIFI too!! 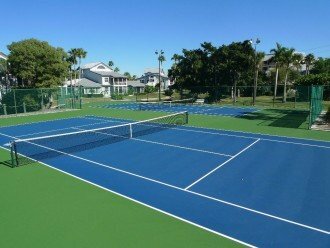 The complex also has 2 excellent lighted tennis courts, a fitness room, sauna, barbecue grills, picnic tables and a clubhouse with tables, seating and kitchen facilities. WiFi is available throughout the complex and the main office has a PC and printer for boarding passes, etc. Additional highlights include a crushed shell walking paths surrounding the property with views of the Inter-coastal waterway and a private fishing pier! Free shuttles can take you into town, or it’s an easy 20-minute walk. 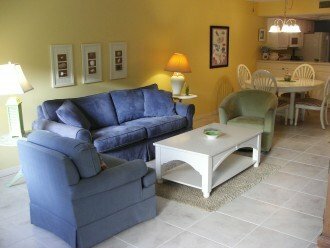 This spacious, first floor, two-bedroom unit is immaculately decorated in island style and can comfortably sleep 4. 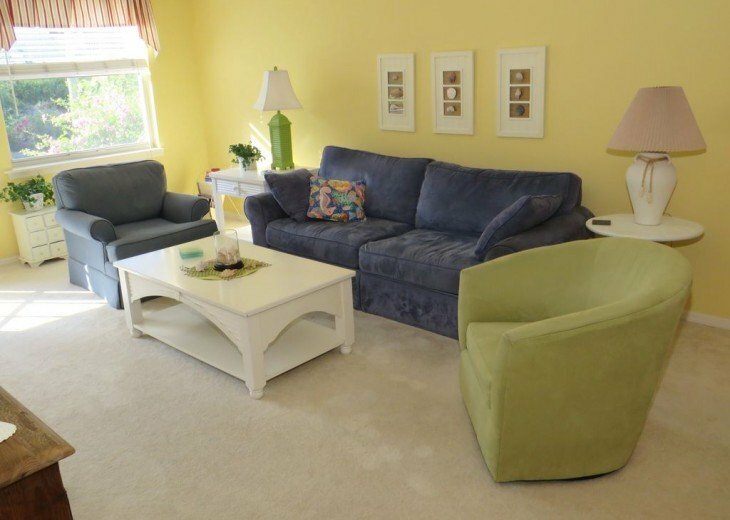 It has a fully equipped kitchen with a dining table that easily seats 4-6. 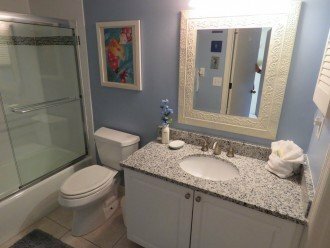 The master bedroom has a king-sized bed, a walk-in closet, and generous bathroom suite that includes a tub and shower, 2 sinks with spacious vanity area. 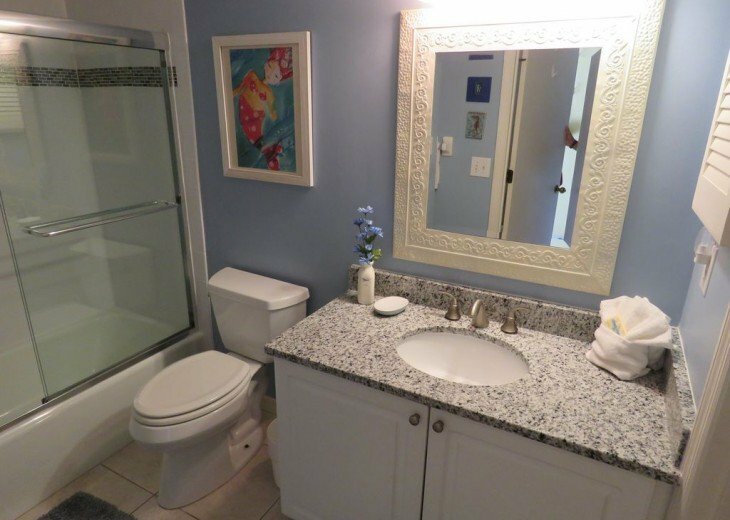 The bathrooms were just remodeled -- granite counters, new lighting, new shower. The second bedroom has a queen bed and closet and is cozy, but can sleep 2. The comfortable living and dining areas are light and airy, and you can also eat or lounge out on the glass and screen-enclosed lanai. 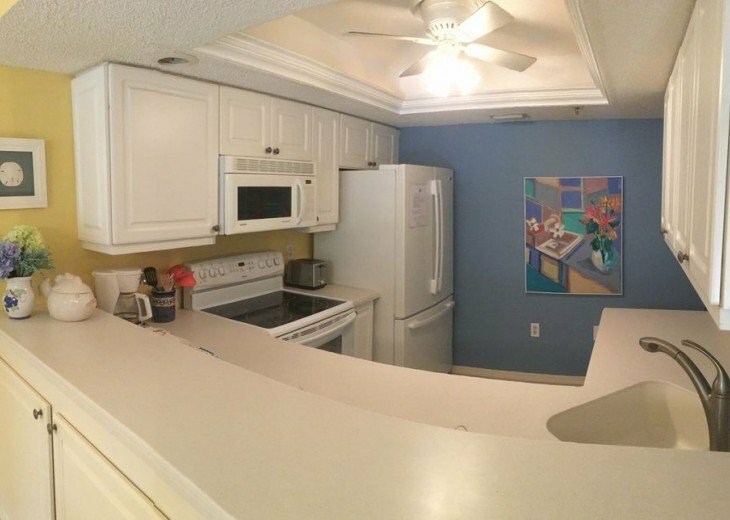 The unit has its own washer and dryer and there is an attached garage for beach gear, etc. We have beach chairs, a cart, beach toys and umbrella for you too! Tennis rackets and balls as well. On the key and nearby, there are abundant opportunities for active fun, such as volleyball, para sailing, jet-skiing, boating, fishing or golf…and for the quieter pleasures of shopping, visiting art galleries and museums, or dining at an astounding assortment of local restaurants. You’ll be close enough to charming Siesta Village to enjoy restaurants and lively outdoor dining, shops, music and dancing. Or you can simply kick back at home for peace and quiet. 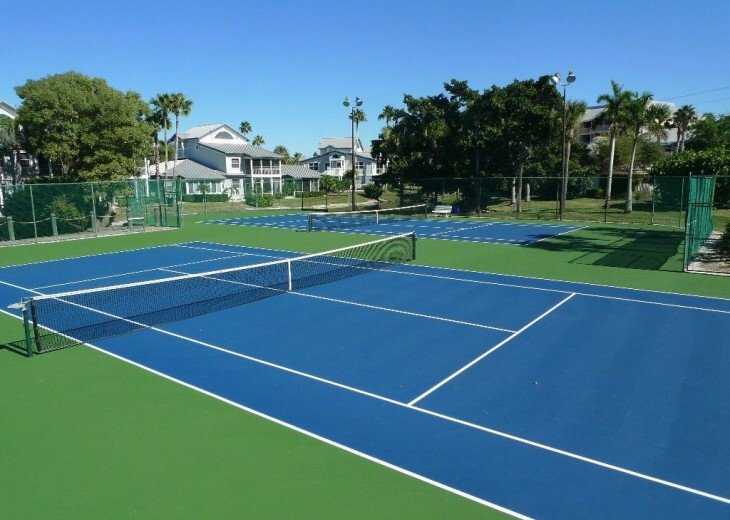 You are also a short drive from downtown Sarasota, and some of its main attractions some of which include the Ringling Museum, world-class golf courses, St. Armand's Circle, Mote Marine Aquarium and Selbey Gardens. For kids, there are tons of activities and it is a great place for young families, teens and older couples alike! We've stayed all over the key and this is the best value for your money to be sure! 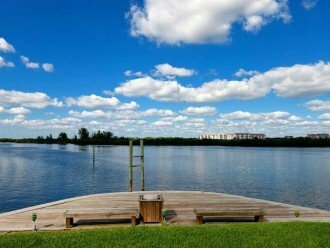 Enjoy this quiet, private island paradise! 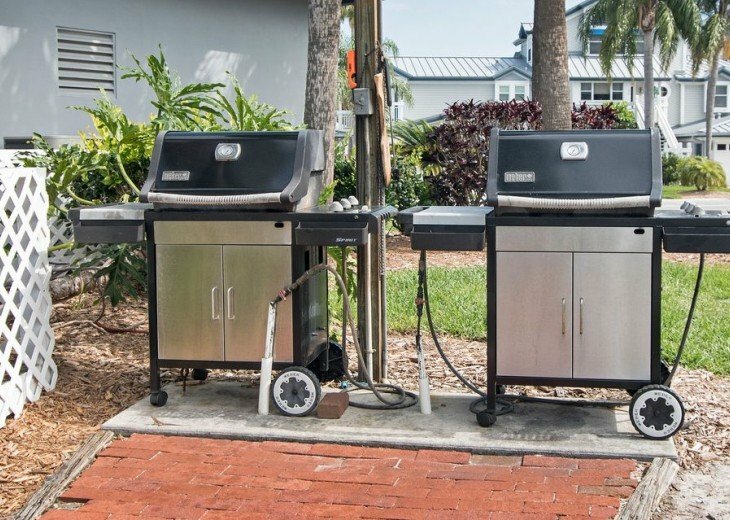 Accessible by car, and served by the airports in Sarasota/Bradenton, Fort Myers, Clearwater/St. Petersburg and Tampa International. 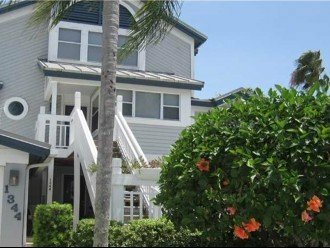 Just across from world class, award winning Siesta Key Beach and sits on intercoastal. 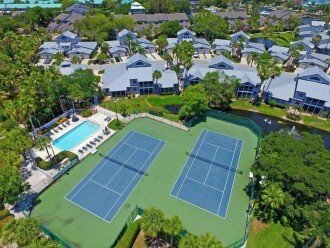 All amenities of a full service resort with a small, friendly, neighborhood feel. 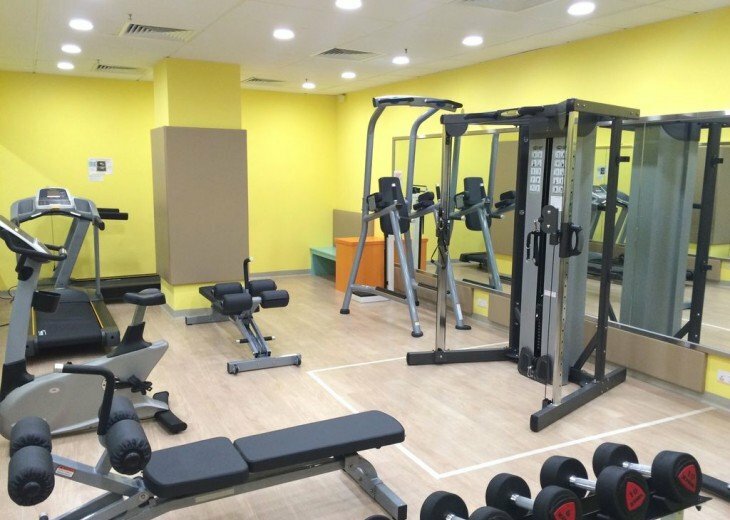 Easy access to village restaurants, bars and nightlife. Condo has everything you would need for your stay and the beach. 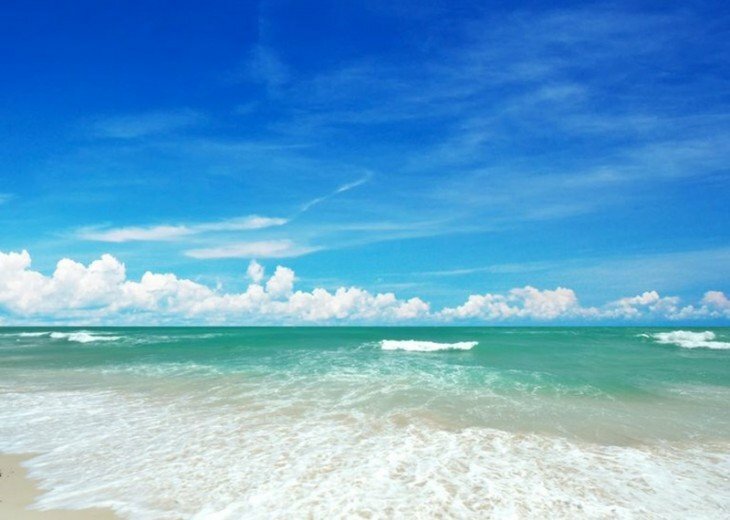 Enjoying its reputation as one of America’s Best Beaches, Siesta Beach is made famous by its sugar-fine, quartz-white sand. A short jaunt from the public beach is a village of outdoor dining, coffee shops and shopping. Turtle Beach sits beyond the sea grapes on the Key’s southern end and is a popular site for launching kayaks. It is truly the quintessential Florida beach town. There’s fun to be had for young adults, but not too much fun to turn away families and more mature travelers. 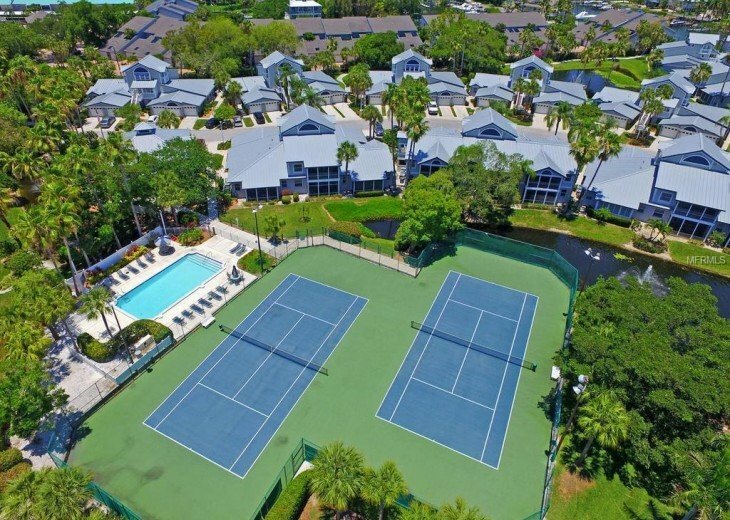 Our gated community has all the amenities of a resort with a friendly, neighborhood vibe. 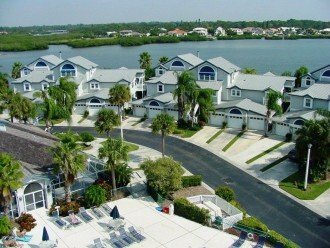 Beach, village, tennis, pools, bay, intercoastal waterway. Free yoga on the beach! Sunset drum circle every Sunday at Siesta Key Beach not to be missed! Open air bars in the village have great live music. Free trolleys to Village all day! -Myakka State Park - boat tours, canoe rentals, aligators! -Turtle Beach State Park on the sounth end - beautiful beach. -Mote Marine Laboratory & Aquarium. -Sarasota Jungles Garderns -- Animals and more! Slightly higher rates apply to holiday periods. Returning guests have first option on renting same period in the following year. Make reservations at . 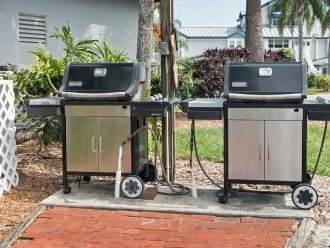 Ask for unit #1344 and mention that you found it on Florida Rentals site. About the owner: We are Vermonters and both grew up in New England. We started coming to FL when our two girls were young to escape the cold Vermont winters. We've come ever since for a week here or there in the dead of winter. 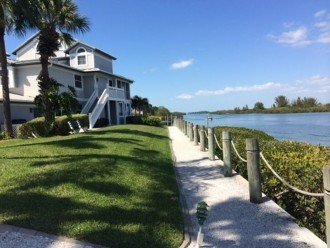 Siesta Key has always been the favorite for our family and our visitors alike. Once people experience the key, they seem to continue to come back regularly. We both work up north so can't be there as much as we'd like, but are thrilled to be part of the Gulf & Bay Bayside community. It really has a neighborhood feel -- not a high rise or hotel vibe. We want to share our new FL casita with you! Found this on line, looking for a place that met our needs and didn't cost an exorbitant amount. Instead of a mercenary Christmas, it was meant to be about the gift of time. This exceeded all our expectations and then some. I contacted the owner first and am so grateful that he allowed us to proceed. The complex is beautiful and just a block to the beach. Will go back next year. 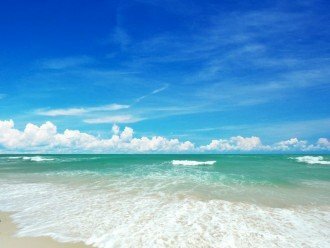 My boyfriend and I had a wonderful time visiting Siesta Key. This condo is so cute and we felt right at home. It was plenty big for the two of us and we even had a third guest stay for some of our vacation. Very affordable, clean and well decorated...it was clear that the owners truly treat this condo as their second home. 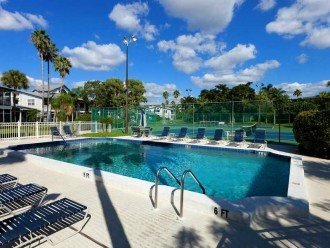 The location is ideal, as it is a few steps away from the main complex pool, which I must add is never crowded and kept very clean! 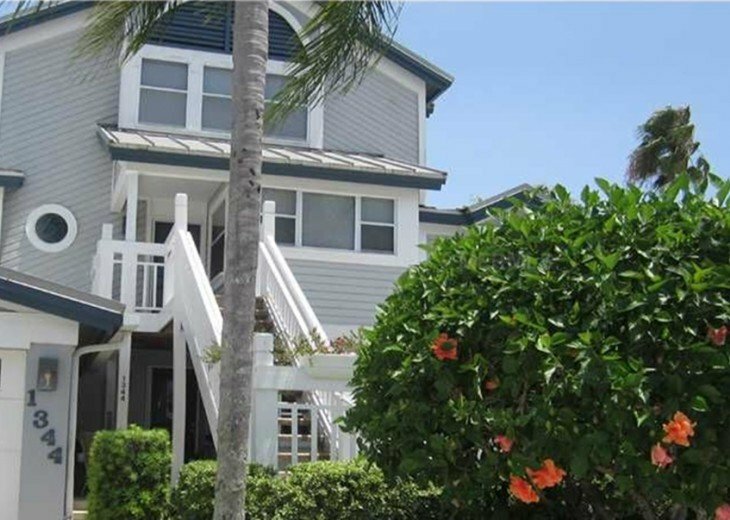 In addition, it is only a mile from Siesta Key village and a short walk to the beach. We are already talking about when we can reserve another stay at this condo! We had a wonderful family vacation in Siesta Key. We loved the condo. 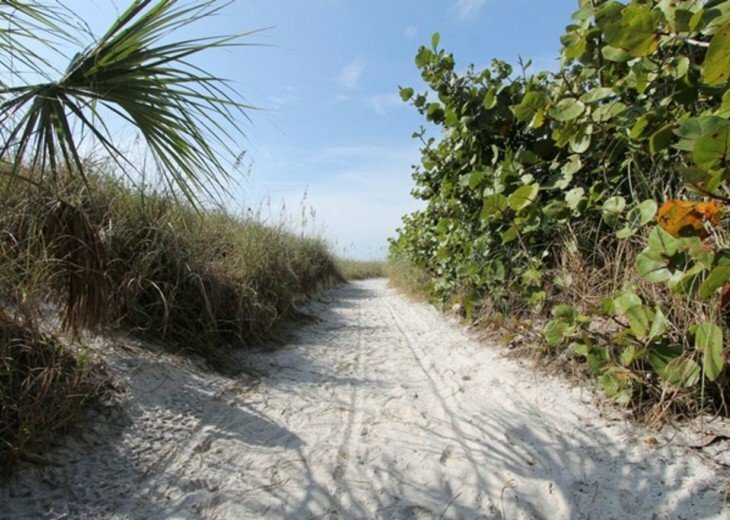 It was very clean and comfortable and a walking distance to the Siesta Key beach - #1 beach in the US with beautiful sunsets and white powdered sand! We also enjoyed the pool at this gated community. The owner of the property was very caring and helpful. 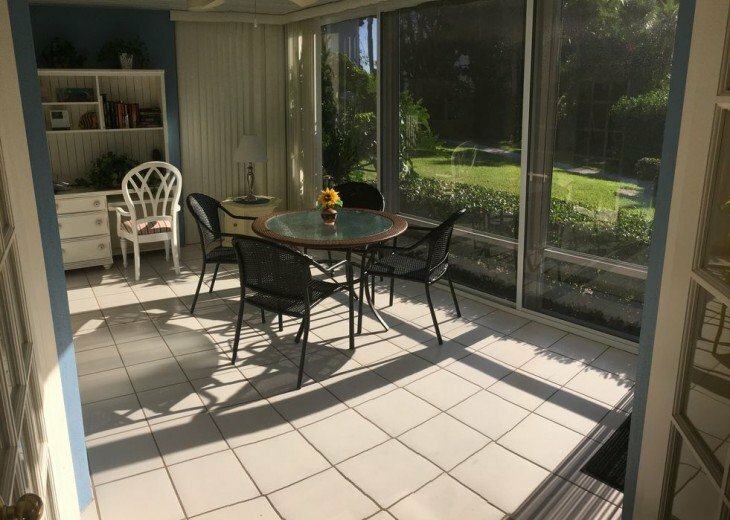 The condo itself was equipped with everything you could ever ask of a beach house, beach chairs , towels, an umbrella, even kids toys to play in a sand. 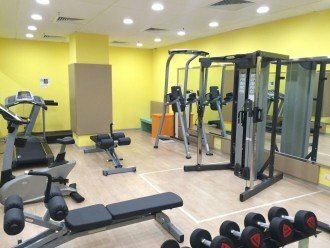 We will definitely rent this place again and recommend it to our friends and family. We had an amazing time staying at this condo . It was beautifully decorated and very cozy. I especially loved the lanai and artached garage. The pool, gym, and sauna was great too! Great location! I will be renting this place again! 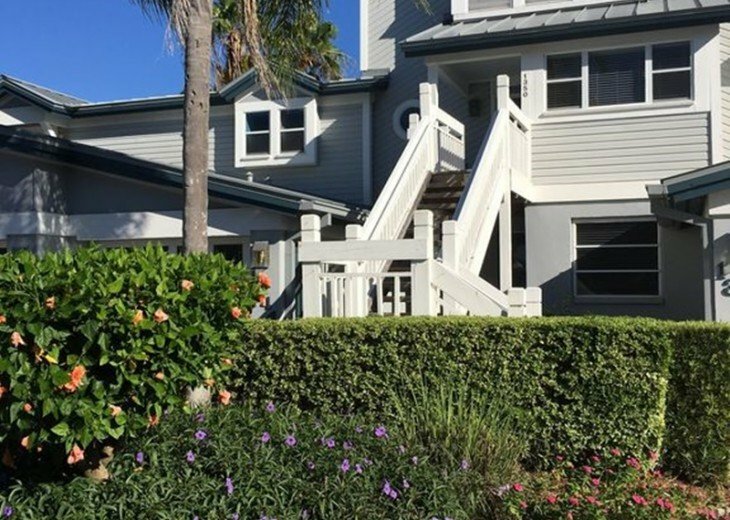 We had a great week in this immaculate condo - loved the pelicans every morning in the waterway, the warm pool, the short walk to gorgeous Crescent Beach. The owners were great to work with - really invested in our experience - and lots of care has been taken to provide anything you'd need, from kitchen stuff to nice beach towels.